1 tired and thrilled Sunshine girl. What are these statistics? A summary of my night last night. 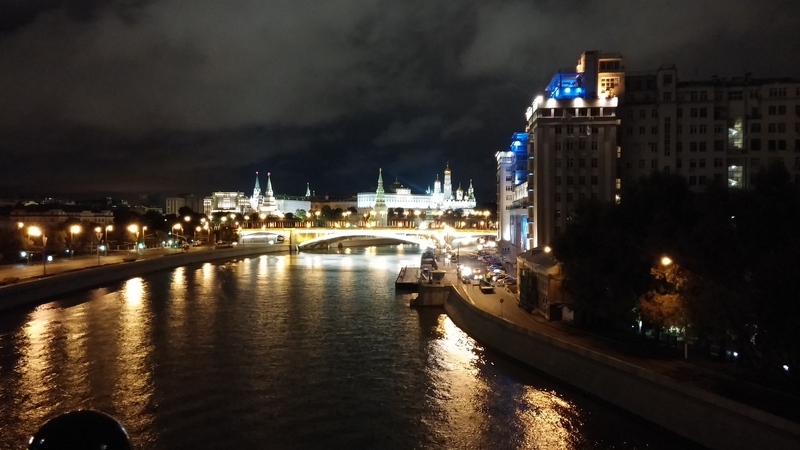 It’s pretty well known that Moscow is a city that never sleeps, and yesterday, for the first time I got to experience it first hand- and I did it on bike. 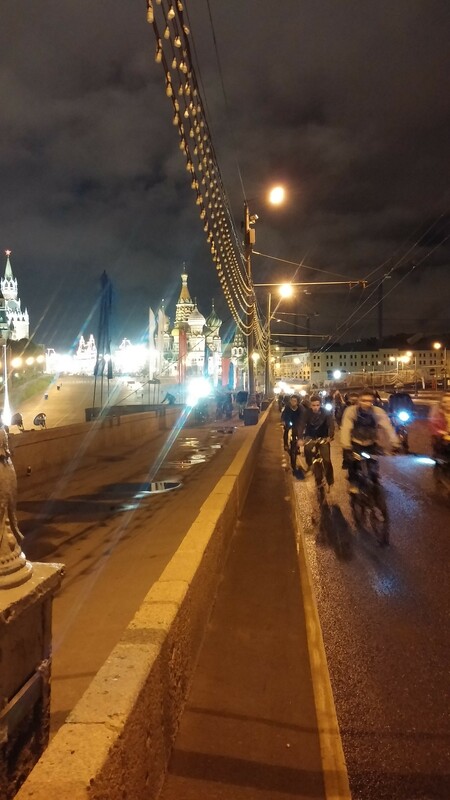 Cyclists in Moscow are generally considered suicidal or maniacs, due to the number of cars and the ‘might is right’ driving style of their drivers. 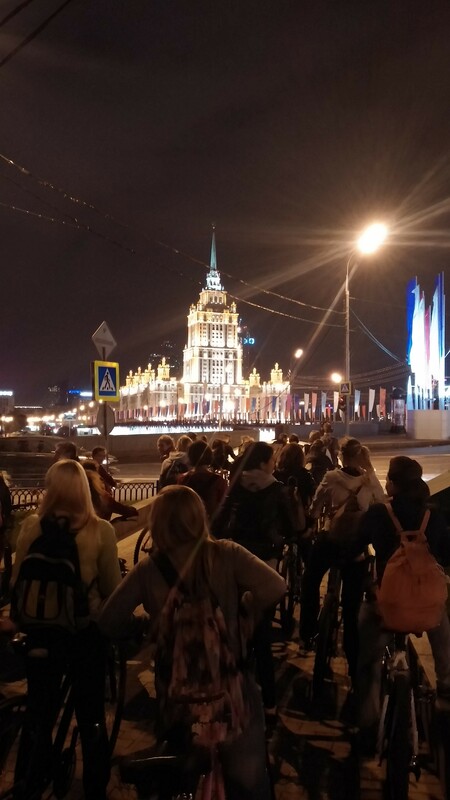 But occasionally the students in Moscow organise a night time tour/bicycle rave through the city which lasts all night- meeting at 11 and returning the bikes at 6.30 in the morning. 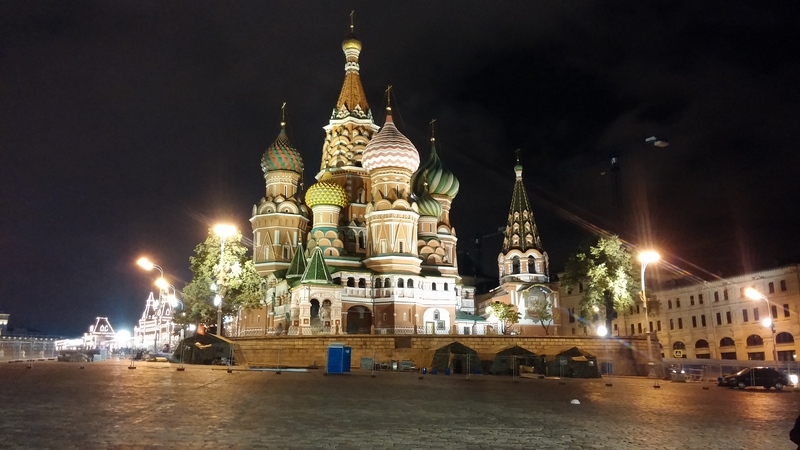 The route criss crosses all of Moscow, encompassing the biggest and most well known sights as well as secret back streets, quiet alleyways, and massive motorways. And it is definitely a challenge- even though the streets are quieter, this city honestly never stops being busy. 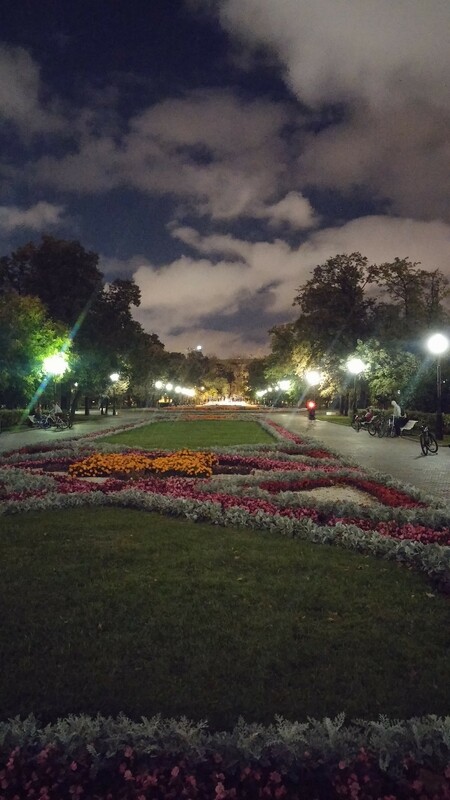 My personal journey started at Mayakovskaya Metro station (and a beautiful one), from where I walked into a courtyard of a residential block in search of the bike rental place. A long queue led me to a doorway on which the name ‘Titan’ was spray painted, and a narrow set of stairs led to a narrow (run down and with plaster falling off) corridor which turned a corner and opened up into an basement shed. 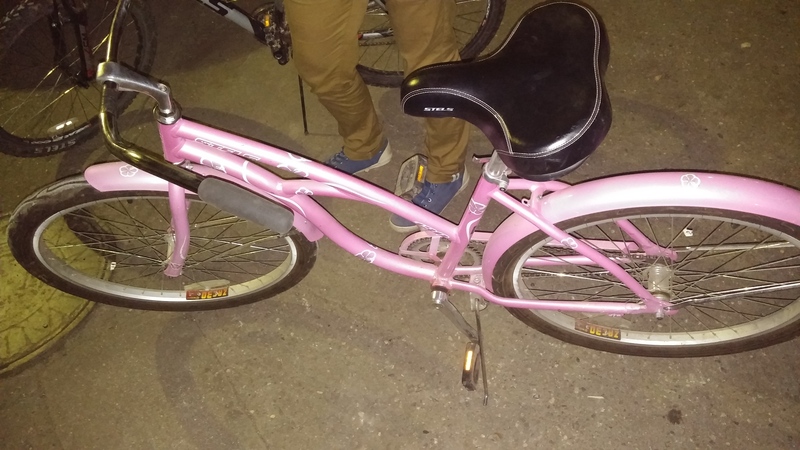 Feeling a little shady I picked up my steed: a bright pink, flowered city bike. That should teach me for always choosing the cheapest option. After waiting for the 32 other people to get ready and figure out how to ride their bikes (it clearly had been a while for some of them, and a few collisions and sideways collapses before we got on our way), we headed to the official meeting point, Park Pobedy (Victory Park, where we had been for Moscow day to see the fireworks) along the New Arbat, past one of Stalin’s Seven sisters illuminated in the darkness, past some monuments, to join the incredible crowd of around 500 people. It promptly began to pour. We hid under the trees, turning up the music from the speakers that some had brought with them, using the bike lights as strobe lights, and partied anyway. At around 10.30 we the actually set off, heading largely back the way we had come and then out towards the west of the city, past the zoo and exploring an area I had never seen before. The cycling code was ‘there are no rules’ as one young Russian (who let me call him Vlad because his long name, he decided, was too hard to remember and pronounce) told me. From my observation this was entirely true. Like cars, the fastest and boldest cyclists have there right of way, and although we were urged to give hand signals, this occurred practically never. In general anyone with a helmet was a foreign or exchange student, and we were often led along one way roads or on the wrong side of the road, riding into oncoming traffic. In addition, the cyclists seemed both pedestrians and cars- they used both pavements and the road, sometimes waited for the pedestrian signs, and at other occasions decided to move with the cars, ignoring the pedestrian signals. Nevertheless, our route was a long one (officially 41 km, but that ignored the route to and from the rental place), and we occasionally found that we were taking slightly different ways to get to an agreed meeting spot. 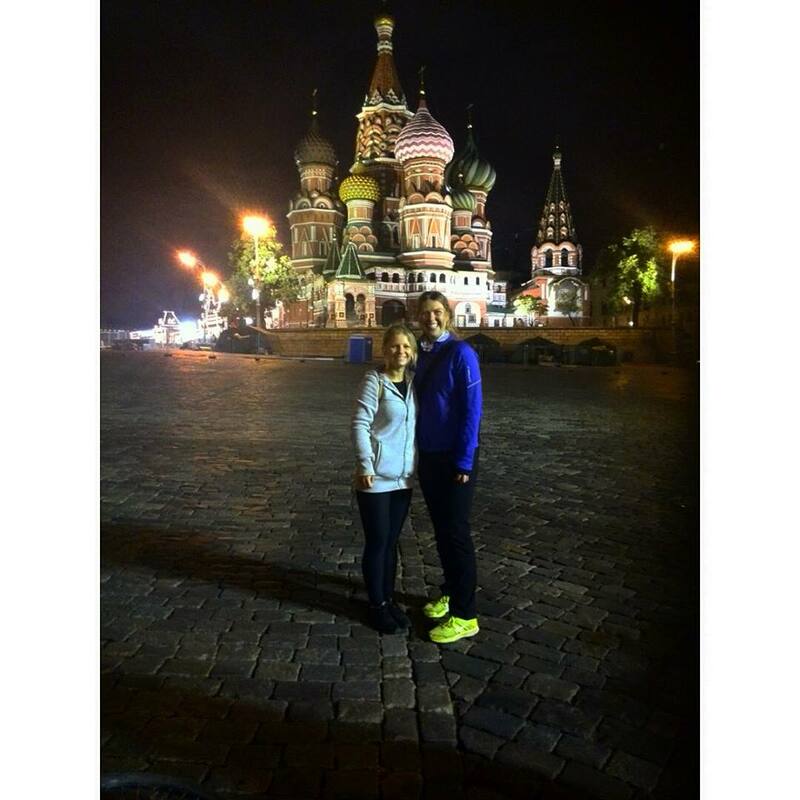 We saw gorgeous views of the Kremlin from all angles, Monasteries from hidden back streets I had no clue existed, and Cathedrals from far away and close up. On the way, conversation ranged from comparing London to Moscow, to holidays, to simple language lessons, and even went into politics. 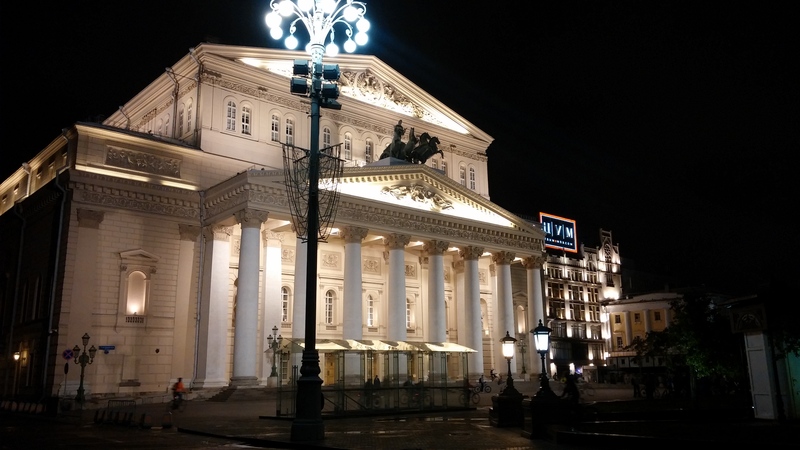 The young Russians spoke brilliant English, patiently repeated words and phrases for me to learn, laughed at my confusion and insistent repetition of some words so that I could learn them, eagerly tried to learn the German equivalent, and constantly asked about my impressions, or gave their own. I especially found their views on their own culture interesting, though- they expressed distaste for the lack of rules, and the danger on the roads that they thought was a result of this, but they didn’t seem to be bothered about changing it, or didn’t see a role for themselves in actively participating to make it different. Any political view that was expressed to me had a healthy amount of distrust for those in power, (one new friend informed me that the British might have a Queen, but the Russians had a King, and laughed and explained when my confused face showed that I was thinking seriously, of dynasty, etc.). They differed strongly on their approaches to everyday life- some argued it was important to follow some of the rules like taking a passport with you everywhere, others admitted that they never did it, and had never been stopped, and would only take it on long journeys. And for all of this I had the backdrop of a chilly but beautiful Moscow, with a clash of architecture after the next, memories of ‘Soviet Propaganda’ (also a quote from a Russian) scattered throughout the city- ‘important reminders and context of our history’, as Anya called them, next to modern high rises and old style romantic architecture. The mosaics that feature throughout the city are especially beautiful, and the carefully arranged parks made good resting spots, as well as allow for some fresh air and dynamic space between all the buildings. We finished our journey on the banks of the River Moscva at 6 in the morning when it was getting chilly and the mood was definitely sinking as people were getting tired and ready to sleep. Sunlight began to creep over the horizon, and the statue I had seen in pitch dark looked stunning in the half light of the morning, and then dull and boring again after I had dropped of my bicycle and headed home on the Metro. Dead on my feet, I then dropped into bed and slept from 7.30, before my alarm woke me at 12 so that I don’t completely ruin my sleep cycle– classes start tomorrow at 9.30, sharp! вело, вело, вело! ночь, ночь, ночь!